What’s Going On with Your Swollen Feet? 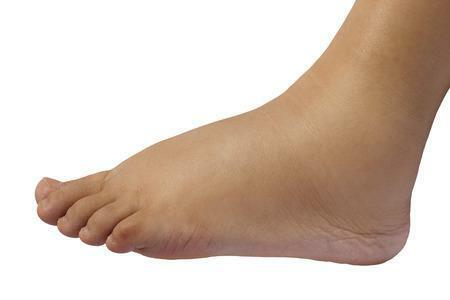 My Chicago Foot Expert Blog What’s Going On with Your Swollen Feet? Swollen feet are a common reason for patients to visit their foot doctor’s office. When one or both feet are swollen, standing and walking can become uncomfortable, and moving becomes challenging, leading to limited activity and diminished overall health. If you notice swelling in your feet, ankles, or lower legs, you should be seen quickly by a board-certified podiatrist like Dr. Stavros O. Alexopoulos. Your podiatrist is a medical specialist, and the best-qualified doctor to diagnose and treat your issue. Edema: This is when your body retains too much water. It might happen after a long plane flight or an extended period on your feet. Some women experience edema during their monthly cycle or during pregnancy. Edema is typically harmless and goes away on its own after a little while. If it doesn’t, it can be a sign of systemic illness including heart, liver, or kidney disease. 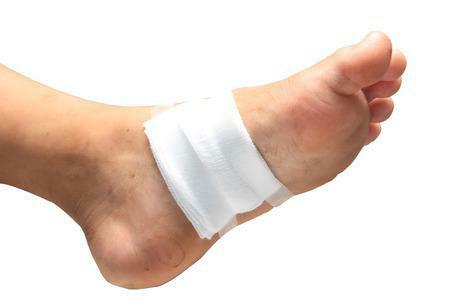 Foot or ankle injury: Your foot might swell if you’ve hurt yourself. It’s important to see your doctor right away to rule out a possible sprain or fracture. Chronic Venous Insufficiency: This is an illness in which the veins of the legs have difficulty returning blood to the heart. Blood can pool in the legs and feet, leading to swelling. In addition to swelling, be on the lookout for particularly dry, scaly skin on the calves, which is often an indicator of CVI. If swollen feet are causing you discomfort, or if you are concerned about anything else related to the health and well-being of your feet, ankles, and lower legs, Stavros O. Alexopoulos, DPM can help. Schedule an appointment in our modern, comfortable Chicago office today. Call our friendly staff at (773) 561-8100 or click here to get started today. Stavros Alexopoulos One of Chicago’s top podiatrists, Stavros Alexopoulos, DPM, treats routine to complex foot and ankle issues. Dr. Alexopoulos is currently accepting new patients at My Chicago Foot Expert located near Ravenswood, North Park, and Jefferson Park. Excess weight and obesity can trigger gout attacks. Be sure to eat a healthy diet, rich in colorful fruits and vegetables, whole grains, and lean proteins from poultry and fish. Diabetes is a full-body illness with myriad complications, two of which pose particular risks to the feet: neuropathy and diminished circulation. 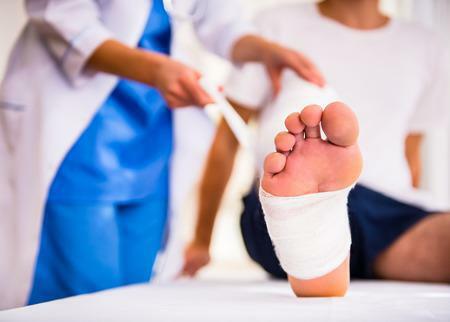 Have you ever heard of a “love fracture?” It sounds like what happens to a high schooler’s heart after a first breakup goes south but, in fact, it’s the common name for a fracture of the calcaneus, your heel bone. A sprained ankle is a painful injury that can keep you off your feet for weeks. Weak ankles are more likely to twist when you step awkwardly and can result in a foot fracture. Are Your Feet Telling You to be Tested for Diabetes? People with diabetes are particularly vulnerable to two foot conditions: neuropathy and foot ulcers. When Should You Call the Podiatrist? The decision to call your podiatrist begins with knowing just what a podiatrist does. Your podiatrist is a medical specialist with years of advanced training in diagnosing and treating all illnesses and injuries of the feet, ankles, and lower legs.